To my own (and my wife’s) detriment, I’m always the guy who tries a task myself. Buy a dining table? I can make one. Faucet won’t work? Don’t call the plumber. I’ve always been the same way with my golf trips and this website is an extension of that. 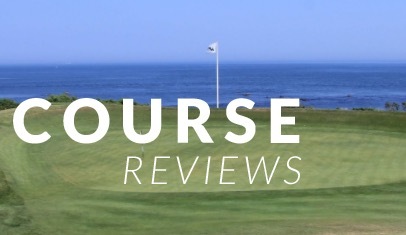 I’ve dedicated hundreds of hours to content about courses and how to a trip plan yourself. 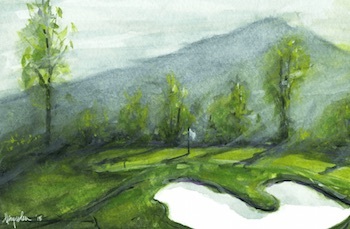 I’ve spent hundreds more corresponding with golfers helping them map out their dream journeys. However, some people don’t necessarily enjoy or want to plan and book a trip themselves. Others don’t have the time! In those cases, golf tour companies come to the rescue. This post will help you determine how to choose a tour company, and equally important, help you decide whether you need one. In all cases, I’d love to hear about your experiences and recommendations for a tour company – please leave a comment at the end of the article! One of the most valuable services a tour company provides is saving you considerable time. Although it can nearly all be done online, planning a great trip on your own requires major effort and research. This point is especially true for larger groups. When dealing with more than four golfers, the logistics of a trip become significantly more complex – especially when it comes to transportation (see more below). Tour companies can deal with these larger groups with ease and can save major headaches. The time savings can be worth the cost of using a tour company for some travelers. For others, they may have the time, but don’t find enjoyment in the trip planning process. Tour companies meet that need very well. Along the same lines as the “Time” section above, it’s very easy to cut a single check and have your whole trip planned and booked. 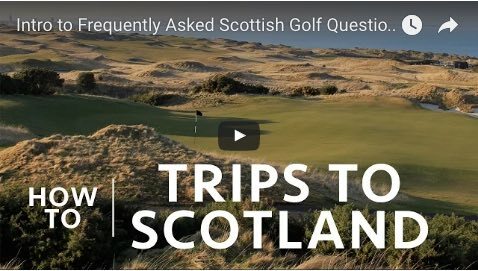 For the golf traveler who doesn’t know much about Scotland and doesn’t necessarily want to do the research, there is also a level of security/comfort in knowing that a knowledgeable tour company is planning your trip. There’s no second-guessing and no wondering if you made the right or wrong choices. In the case of larger tour companies like PerryGolf, they often have their own fleet of vans and buses to transport golfers. This can be especially useful for larger groups where a rental car doesn’t make sense. Using the tour companies “in-house” transportation can also result in cost savings over contracting with a separate transportation company. The tour company drivers are also often helpful, knowledgeable, and friendly. I’ve heard a few horror stories, but I’ve heard far more great reviews of helpful drivers who provide recommendations and useful tips. Do note that those who plan trips on their own can contract with independent transportation companies. Pricing is the biggest negative for tour companies. The cost of a trip varies with demand, where you want to play, and where you want to stay, but I’ve seen tour companies quote a price that is double the actual costs. I like that the tour operator recommended a week in St Andrews. It is an efficient way to take a trip and it provides a chance to really get to know the area! I also like single-region trips because they generally keeps costs very low. With that in mind, the trip as quoted from the tour operator is pricey. I made some assumptions with my “real cost” quote, for instance I assumed it would be four golfers. I planned on £25 per dinner, and I assumed a nice (but not ultra nice) home rental. I also assumed that the foursome will rent a van instead of having a driver and bus. Since the entire trip is based in St Andrews, the longest drive is 1.5 hours to Edinburgh Airport to fly home. *The biggest assumption I made was the St Andrews Old Course tee time. I priced it in using the rack rate of £180, which assumes the tee time was made via the Old Course Ballot. The tour operator included it as a guaranteed tee time. 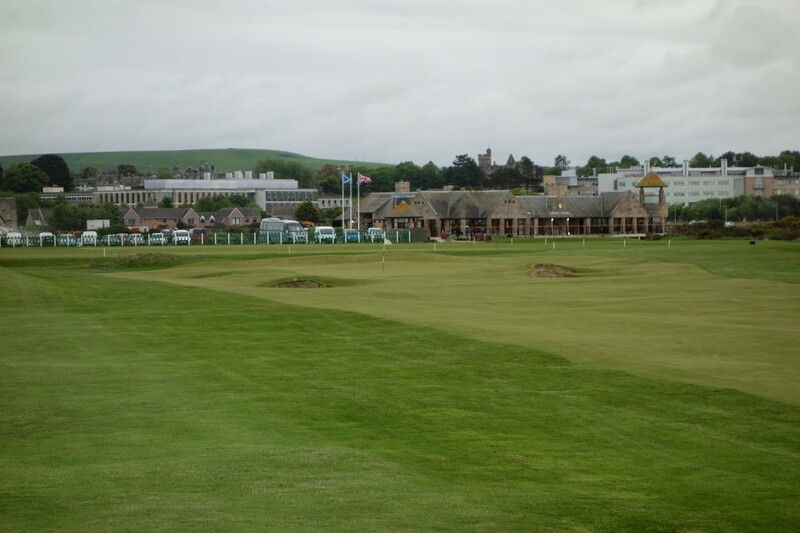 The loose rule of thumb is that a tour operator guaranteed Old Course tee time is worth around $1,000, so keep that in mind. 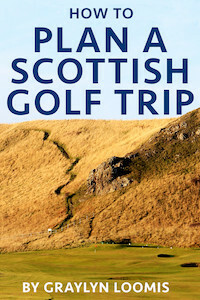 Even if we bump up the Old Course tee time to $1,000, that still leaves a $2,000 difference between the tour operator and the do-it-yourself trip. Without it, the difference is $3,000. That difference may be well worth it for some travelers! I will repeat it again, but take the 30 minutes to price out the real cost of the trip. Keep in mind that tour companies have relationships with certain courses and hotels where they get preferred rates. I’ve received emails in the past where a client presented a tour company with a general outline for their desired trip. The quote they received back was very different than their desired trip. For instance, instead of staying in B&Bs like they requested, they were quoted 4-star hotels. Instead of certain courses, others were swapped into the quote. This goes back to those preferred rates that tour operators receive. Some (not all) companies will steer your trip toward places they receive preferential rates and therefore have higher margins. If you’re dead set on a trip, hold fast to where you want to play. If the tour company has swapped in a different place, ask them why. It could be for a good reason, but find out their thought process and make the choice yourself. In all cases, get multiple quotes from multiple tour companies. Compare their costs and be a smart consumer – check out tee time and accommodation prices yourself. Which company best listened to your desired trip and delivered in their quote? 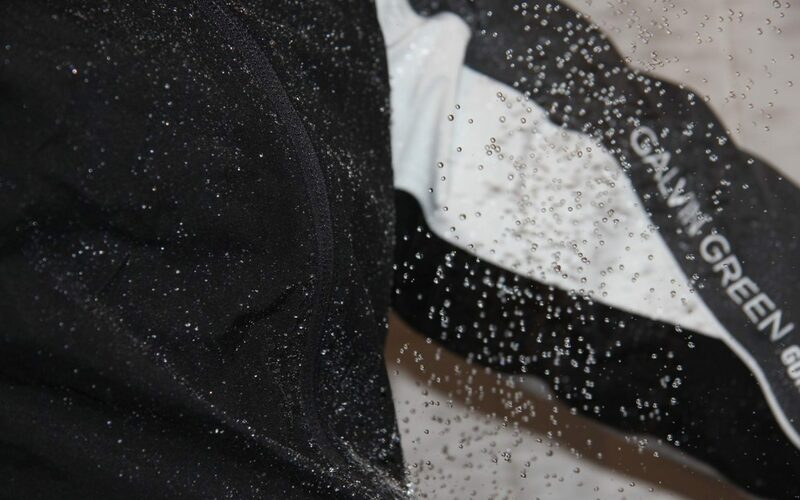 I’ve worked with and spoken to many happy clients from PerryGolf, Haversham & Baker, Bonnie Wee Golf Tours, Carr Golf, Connoisseur Golf, and others. 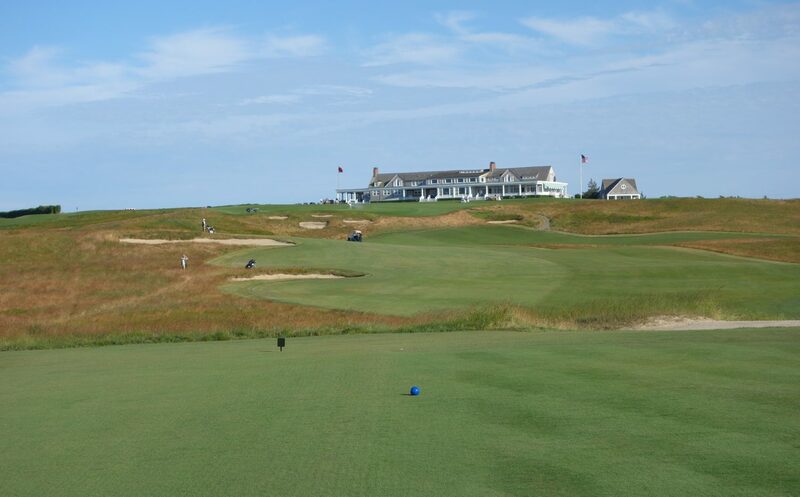 * Some specialize in certain things, like Connoisseur Golf with very high-end trips (think helicopter travel and castles), but most just deliver on solid golf trips. Speak with at least two, but hopefully three. *I’m sure I will get emails from all of the tour companies I didn’t mention… there is no need to email me – just leave a comment on this article so everyone can see! Thank you for the comment, Paul! Your experience is similar to what I hear from quite a few readers. Often they’ll take a first trip with a tour company and realize what they like / don’t like before planning a later trip on their own. It sounds like your St Andrews and East Lothian trip was a good one – I think those two regions make for a perfect pairing. It maximizes your time in each place and doesn’t mean too much time on the road. Really good feedback – thanks again for sharing! Going on 3rd trip to Ireland/Scotland using 3rd different tour operator. Group of 16 who wants each Trip to be memorable. This year 13 nights and 19 rounds. Island, RCD 2x, Ardglass, PortStewart, Portrush Dunluce, Turnberry Alisa and Bruce, Royal Dornoch 36, Castle Stuart, Cruden, Trump Intl, Carnoustie, Muirfield 36, Archerfield Fidra and Direlton, Kingsbarns, and Castle. Hopefully add Old Course via daily ballot. Accommodations include Turnberry MacLeod and Archerfield Mansion House plus solid others. 22 passenger bus with drivers. $8800 pp. hands on planning with tour operator and then let them run with getting details in place. Hi Rob, thanks for adding to the conversation! The logistics behind planning a trip for 16 would be pretty darn tough to plan. What a list of courses, too – have a great trip! Planning a trip to southwest Ireland in 2019. Has anyone used Ireland Golf as their tour operator, and if so what was your experience? Hi Mike, I don’t have any experience with them, so can’t offer any advice or a recommendation there. What I will say is, consider getting at least two quotes for your trip if you haven’t already. It’s amazing how much price can vary between companies, so just do your due diligence. I’m so glad that I found your website! I am planning a trip for four to Ireland/Northern Ireland in spring of 2020. I priced everything myself using 2019 rates found on the web, and then received four quotes from tour operators using the same itinerary. I was shocked at the difference in cost — from 50% to 100% higher than the “a la carte” costs I’d come up with. I’ve traveled and driven in Ireland and feel pretty confident booking everything myself but I have one very important question: will an outfitter be able to book tee times that I would not have access to? 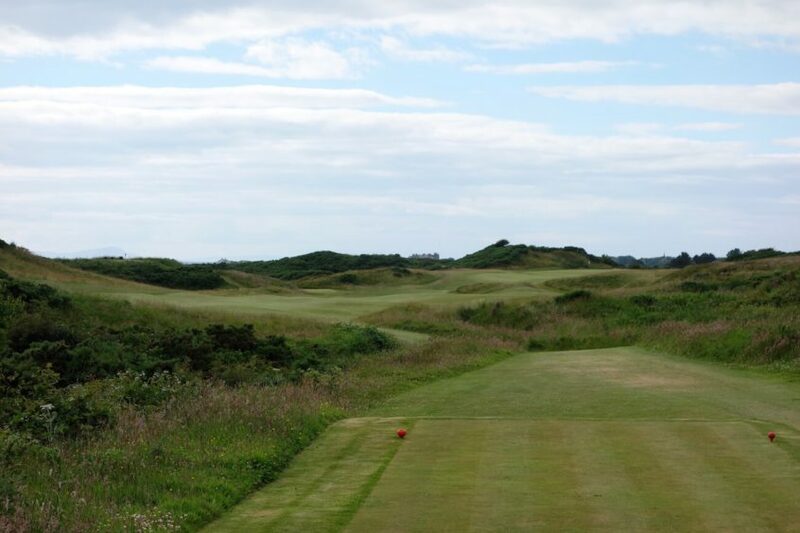 I hate the thought of planning the entire trip only to find that our group can’t get on Royal Portrush because the tee sheet is full, and I’m wondering if using an operator would prevent a scenario like that. I actually wrote to each of the clubs we hope to play and asked them how far in advance they’d allow me to book — even offered to pre-pay for our foursome — but haven’t heard back yet. Hi Gray. Planing for 2019 august trip to st andrews .1st time there. Looking for reliable ground operators to get us around. Can help? 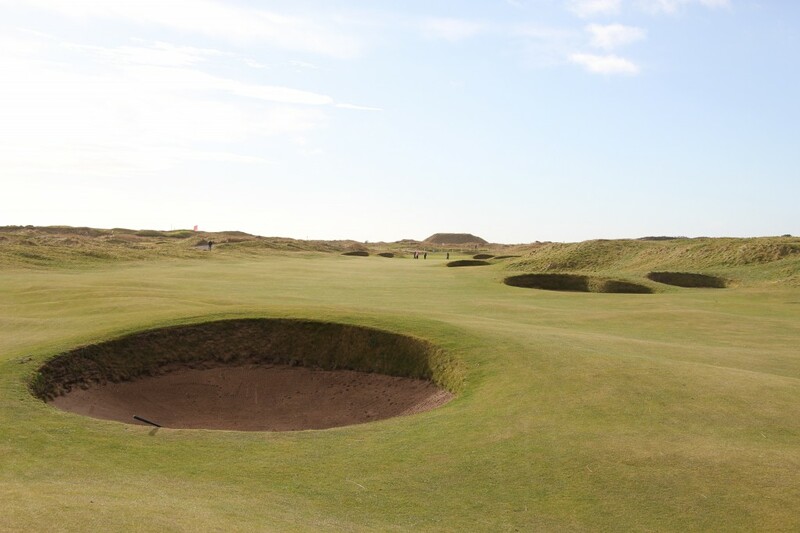 We intend to play old course, carnoustie, kingsbarn, n one more..
Hi Alex, many of the transportation options are available through tour operators, but there area a handful of independent companies you can contact for quotes. One is St Andrews Executive Travel and the other is Woods of Tillicoultry. Google both of those and they’ll be a good starting point for you! Hi Graylyn! 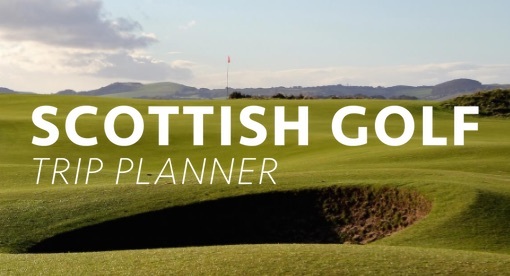 We’re planning a trip to St Andrews in July of 2020 and was just wondering if you’re familiar with the tour operator, St Andrews Golf Travel. Just wanted to make sure they are legitimate. Everything I know about them is positive! I’ve had friends use them in the past and they’ve been repeat clients. I can’t speak from personal experience, but all signs point to legit on my end. I hope that helps! Hi Graylyn, There are 6 to 8 couples who want to visit the St Andrews area to play golf in mid April, 2020. After reading your comments about groups larger than four, I have come to the conclusion that a tour company is the way to go for our first trip. None of the wives will want to play so we are looking at 6 to 8 golfers. 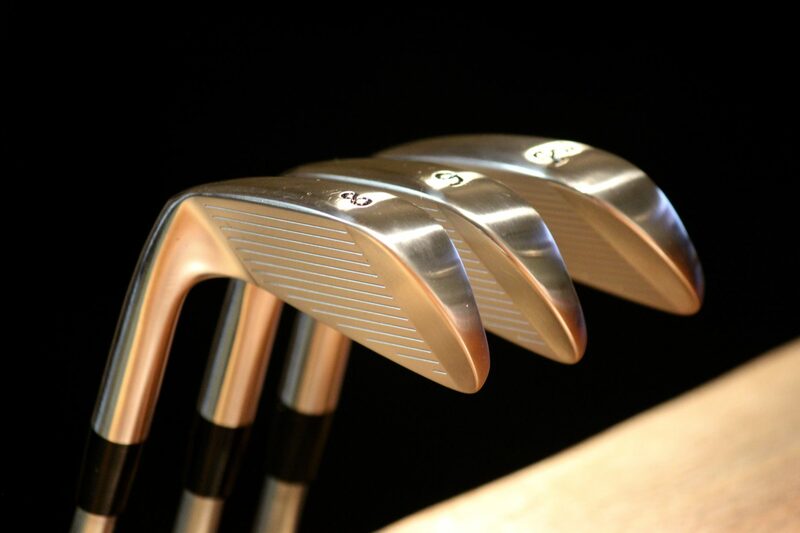 I have contacted the Perry Group, which was recommended by Southern California Golf Association, but would like to speak to some other companies before I meet with the golfing group. Since we are only playing in the St Andrews area only there might be some local companies I should talk to rather than those companies that arrange trips all over the world. Hi Gordon, That’s a great question. As you read, getting multiple quotes is definitely best practices here, especially with a large group. I would suggest you speak to Links Golf St Andrews, Bonnie Wee Golf Tours, and St Andrews Golf Travel (all three have websites you’ll find in Google). Between those three you’ll have a good feel of smaller companies that are focused on Scotland. That said, Perry has tons of experience and you were smart to get a quote from them. I hope you guys have a great trip!